What is an OZEON® panel? High-profile buildings, distinguished by timelessness, character or the harmony with which the building blends into the bigger picture. High-profile buildings were designed by inspired architects. People who know how to translate emotion, experience, character and identity into a building with a timeless look. The buildings have been realised by construction companies that go for exclusive quality. This is only possible with sustainable materials and facade solutions. Only then timelessness is guaranteed. Inspiration needs to be translated into information in order to put together a suitable concept. Which shapes and materials best suit the objective and the feeling of the design? Which quality and usage requirements have been set for the building? What is the desired corporate identity and company vision, and which products offer that interpretation? OZEON® develops plate materials with exclusive metals like copper, bronze, brass, gunsmoke or iron (rust), suitable for applications such as facade solutions in construction. 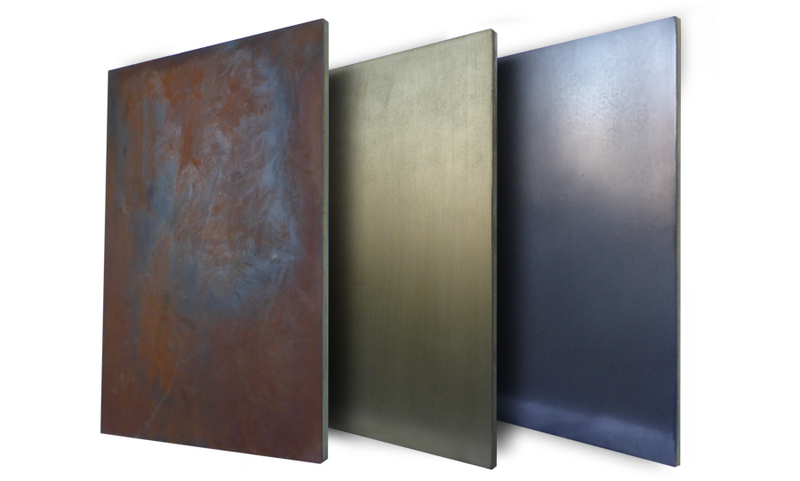 Wall cladding panels with the finish as well as all the typical characteristics of genuine metal. OZEON® siding offers a special alternative. The facade panel is durable, of high quality and efficient to install. OZEON® facade solutions are flexible and offer maximum design freedom. With these materials you can stand out being an architect, construction company, processor, wholesaler, owner and user of a building.